If you're like many people, especially those running a business, you are overwhelmed with email! 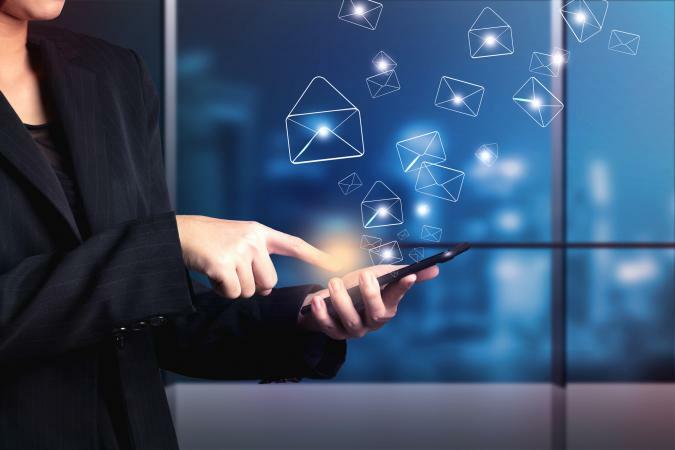 Using a good email software program can help organize and streamline your daily email process. Mozilla Thunderbird is an email program that lets you fully customize how you receive and process your email. A nice feature of Thunderbird is the tabbed email option which functions just like the tabs in a browser. You can have multiple emails open at once and easily find and click them. There are filter options and search tools that make finding what you need more efficient. There are many add-on features, including themes, quick folders, sticky notes, and many more. Thunderbird is a highly reviewed program that can improve your email experience with its versatility. It is also 100 percent free and open source. Sanebox gets rave reviews by customers, who find it vastly improves their efficiency by instantly relegating unproductive spam emails to a separate folder from your inbox. You can view a daily digest of everything in that box and quickly decide on how to handle it, which is a better use of time than reading through and deleting unnecessary emails one by one in your inbox. It also lets you instantly unsubscribe from annoying email lists and can send you reminders about emails awaiting a response. Sanebox has a free trial and three levels of pricing plans, which start at $7 per month and go up to $36 per month. Microsoft Outlook has both free and paid versions. The free version at Outlook.com lets you manage multiple email accounts, including non-Microsoft email like Gmail, Yahoo, and iCloud. It includes a calendar, and the "Focused Inbox" organizes mail for you based on the types you respond to and use the most. The paid version, Office 365, has even more features and comes bundled with the Microsoft Office Suite including Word, Excel, and PowerPoint. A subscription is just under $70 per year, which is good for one user. For just under $100, you can have up to five users. Both services get high marks from user reviews. Zoho Mail is a free email service that gets a 9 out of 10 rating. It is geared toward small businesses that use Zoho Workspace, but can be used by anyone looking for a well-organized email program. You can integrate your email with Google Docs as well. There is also an integrated chat that works with third-party chat services. The program comes with 1 TB of storage and there is no advertising despite it being a free program. The downside to Zoho is you cannot add non-Zoho emails that you IMAP, although you can add POP accounts. eM Client mail also offers both free and paid versions. You can add two email accounts to the free version, and unlimited accounts in the paid version (which is just under $50). eM Client supports PGP email encryption, which improves your email security. The program includes a calendar, contacts database, live chat option, and an automatic image resizer. It is considered "one of the best email client alternatives for Windows." TouchMail is made for Windows 10 users and has a unique look compared to other email clients. It receives high ratings on the Microsoft store with over one million downloads. The program's visual interface looks similar to a Kanban program with colorful tiles, and although it's made for touch screen devices, it also works with a mouse. You can import other email accounts such as Gmail and Yahoo, plus it supports IMAP. TouchMail has a free trial period and is just under $30 thereafter.